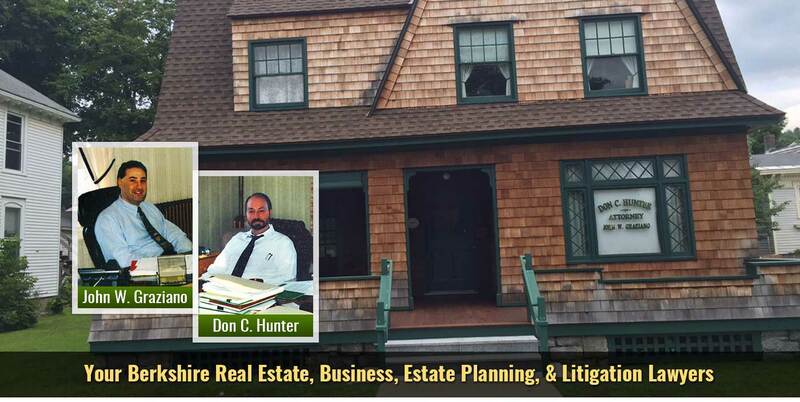 Our firm’s primary area of practice is Real Estate. We represent clients who own or wish to purchase residential property at closings involving purchase, sale and refinance transactions. We offer a complete range of services. Our services are available to help you negotiate a Purchase and Sale Agreement, conduct a title search of the property, close any financing you may want or need, and represent you at closing. We are approved attorneys for virtually any mortgage lender you might chose. We are an approved agent for First American Title Insurance Company. We have online access all 3 Registry of Deeds in Berkshire County as well as the remainder of the Registries in the Commonwealth of MA. Residential real estate seems simple enough at first glance, but it is really a complex, interwoven set of rules, regulations and sometimes written and unwritten local customs and practices. 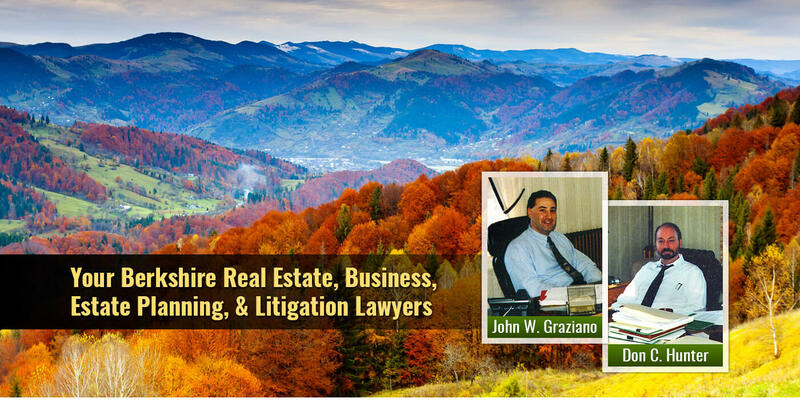 The lawyers and staff at Hunter & Graziano know these “rules of the road” and work hard to help make sure our clients avoid the potholes that can often slow down or hamper the fast, accurate and efficient closing a of a real estate deal. Sometimes a deal finds itself derailed for a variety of reasons. 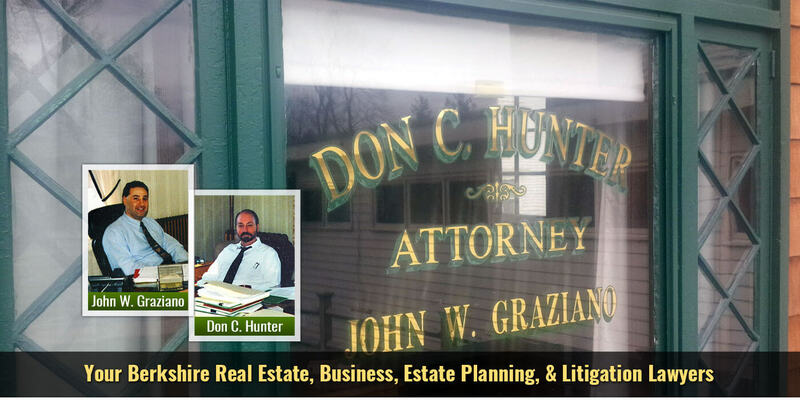 When that does happen, Hunter & Graziano has years of experience to call upon to try to get your deal back on track and head towards closing. 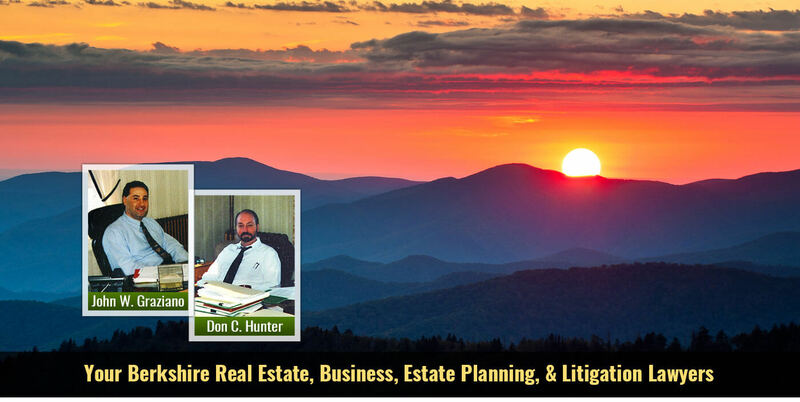 Often times, Hunter & Graziano can offer a flat fee for residential real estate matters, from the very beginning of your contact with us, all the way through closing. This way, there are no unpleasant surprises at closing. 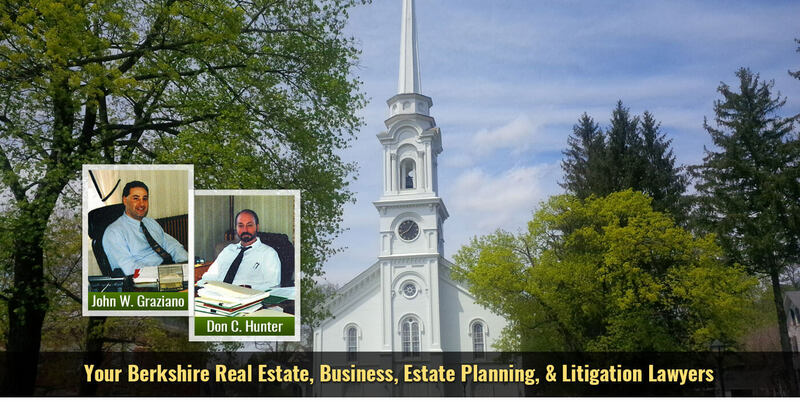 In Commercial Transactions, our firm has significant experience with some of the largest developments in Berkshire County. Among the clients we assisted with Zoning, Permitting and/or Financing are the Prime Outlets at Lee, Silverleaf Resorts (owner of Oak -n- Spruce), Commonwealth Communities (owner of the Village at Laurel Lake) and the Lee Community Development Corporation (owner of Quarry Hill Business Park).We also represent dozens of local businesses and work closely with them on real estate based loan transactions.